"She calls herself a writer and marvels at the sound, her love for her words are the only love she's found." That was the opening line of a poem she wrote in 5th grade and it has never been as true as it is today. LaCole Foots is an aspiring writer working on her debut novel and casually observing life in snapshots. A prolific poet, having performed all across this country and even earned a national ranking in Australia. 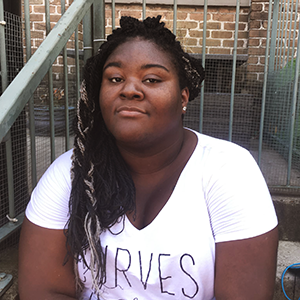 She and her beautiful black lab live in New Orleans where she enjoys laying in the shade after biking the city. She can be found @lafoots on most social media. Rafael Soldi: How long have you been writing and what has been your journey with writing over the last decade? 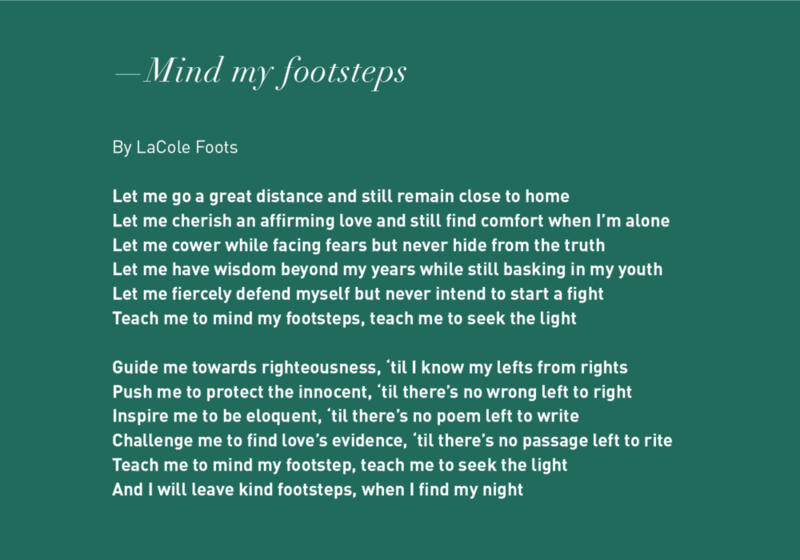 LaCole Foots: I've been writing poetry since I was 12. This collection spans at least a decade. 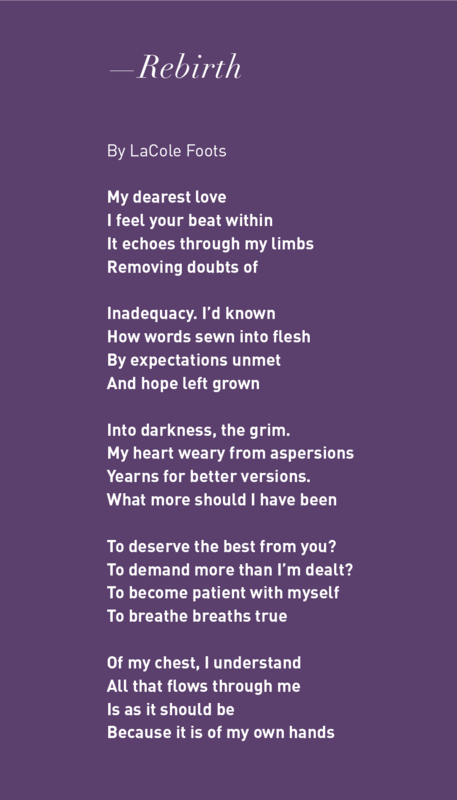 One poem was written in my 16 year old angst and uncertainty and another was written last month, in my 29 year old angst and uncertainty. RS: At some point in your life you decide to turn a page, hit the road and write a book. What prompted this and what is the book about? LF: After finishing grad school and starting my career, though accomplishing a great deal, I found myself incredibly unhappy. I decided to throw it all away and see if I could find something better. I quit my job, threw my stuff in storage and went on a road trip through the south. That trip set the foundation of my first novel. The tagline was going to be "a coming-of-age story about someone who should've already come of age." I felt that, at 28, there were so many questions about myself and my path that I had no answers for: What was it about my life that made me want to unceremoniously throw it away? What was I running from and towards? How'd I get where I was? All of these questions were the foundation and I built the narrative around those months of searching. I wanted to, at a minimum, be able to pick the book up in 10 years and chart my growth. I'm curious to see if I would've had any of those questions figured out. RS: Tell us about the unfortunate fate of the book. How has this changed your perspective on the questions you were seeking to answer? Are they still there? LF: Always back up your book to the cloud or email it to yourself. You never know when someone will steal your rental car and ruin your plans for your Pulitzer! Thank goodness I'd printed out an early draft but I'd lost months of work. That really discouraged me and I put the project on hold. Those questions that pushed me to write the book have not gone away so I'm still fleshing them out. I've been writing more poetry and will definitely revisit the novel. RS: I love the poem Strawberry Solstice, how did it come about? LF: Thank you! During that fateful roadtrip I'd had a bit of a falling out with a guy right before I landed at my sister's house in Houston. So I'm finally safe around family and yet I felt completely lost with no purpose or plan. And my 28th birthday rolls around to add undue stress. That year it fell on the summer solstice and a strawberry moon- which rarely happens. The night of my birthday, I was outside swimming with my niece and we were both admiring the giant pink moon when she said "it's huge for your birthday!" and I remarked "yeah, it was made for me, and only." The rest of the poem just organically grew out of that line. It felt like I finally had footing again. RS: Throughout this group of poems, which span your adult life, I notice a great deal of contradictions—pushing and pulling, strength and vulnerability. Do you feel that's the case? LF: Absolutely. I love that tension within paradoxes. I think "Mind my footsteps" is the perfect example of that. The line "let me go a great distance and still remain close to home" was crucial for me in articulating my desire to achieve great things while never forgetting who I am and the people who made me. Really there are no absolutes in my poetry and I think that reflects not only my gemini side but also the complexities of growing up in grey areas. I like that my work can be both very intimate yet open to any interpretation. RS: Writing is not your only passion, you have your eye on public office. How do you manage these multiple dimensions of your identity [rapper/poet/politics], and do these two poles in any way interact? LF: I want them to interact more! Professionally I'm a policy analyst and my passion project is finding a way to merge the two. How can we bring empathy to analysis and pragmatism to poetry? Imagine if you heard a poem about the plight of inner city schools, then were immediately given action items you could do to help conditions? My project Poeticos is working to bridge that gap. RS: What's next for you, with your writing and with your life? LF: I'm going to keep working on my book and getting Poeticos off the ground. I'm arranging a chapbook dedicated to New Orleans at the moment that I hope to get done by the end of the year and I'm keeping my eyes and ears open for more chances to present my work!